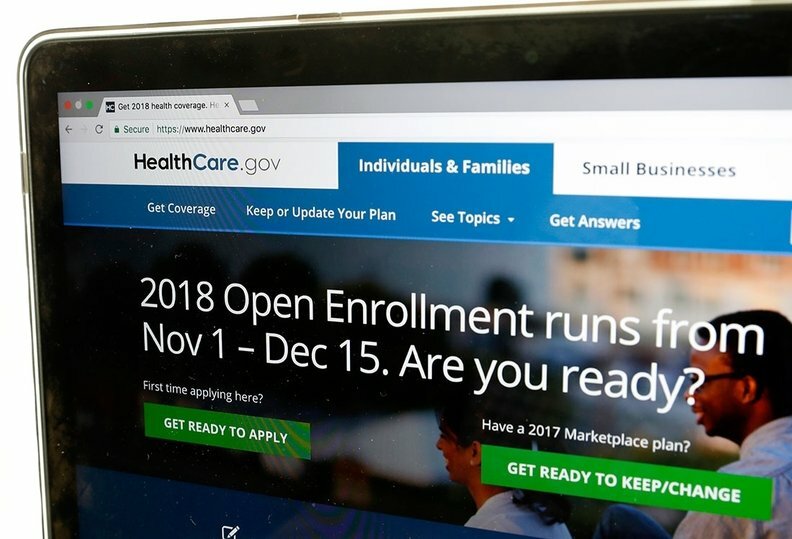 Call it the political equivalent of a death-defying escape: former President Barack Obama's healthcare law pulled in nearly 11.8 million customers for 2018, despite the Republican campaign to erase it from the books. An Associated Press count found that nationwide enrollment was about 3% lower than last year. California, with more than 1.5 million sign-ups, was the last state to report, announcing its numbers on Wednesday. However, of the total number of people signed up this year about 6 in 10 live in states that went for Trump, according to the AP's analysis. The Trump administration had no immediate reaction. Newly confirmed Health and Human Services Secretary Alex Azar is a critic of the health law but has avoided directly antagonizing Democrats over it. The White House line remains that "Obamacare" should be repealed and replaced, but Republicans in Congress don't have the votes. People who are eligible for health law subsidies would be shielded from such increases, but those who don't get financial assistance would face another round of premium hikes. The dozen or so states running their own insurance marketplaces mostly outperformed the federal HealthCare.gov. Overall, the 39 states that use the federal website saw their enrollment slip by about 5%. In fact, of the 12 jurisdictions running their own exchanges, eight gained enrollees — only California, the District of Columbia, Maryland and Vermont lagged behind 2017 levels.